 As the longest serving inbound tour operator in the Cook Islands, Tipani Tours focuses on exclusive travel experiences, tailor made holidays and unique customer service with a personal touch. Tipani Tours offers a complete selection of hand-picked luxury accommodations for romantic getaways in the Cook Islands. With over 30 years' experience and long-term relations with international wholesalers and tour operators, Tipani Tours takes care of its clients from the beginning of their exotic dream, through the planning stage, to personal assistance during the entire stay. Our team of experts will help you planning stylish and high quality tropical escapes, delivering unforgettable experiences to the most sophisticated travelers. Exclusive and elegant weddings, private island tours and personal customer services with mother-tongue interpreters and knowledgeable tour guides, make Tipani Tours the most specialised tour operator of the Cook Islands. Tipani Tours started its humble beginnings over 35 years ago and a gentleman going by the name of Malcolm MacQuarie. His idea was to help people find accommodation in Rarotonga, because back in those days there were not a lot of places for visitors to stay and Malcolm knew he wanted to leave a legacy that Tipani Tours would forever be known for, providing the warmest Polynesian experience imaginable. As Rarotonga grew, and tourism developed, Tipani Tours also blossomed, evolving and changing with time. Tipani Tours has grown and re-invented itself into what we are today, with a vision of where we want to be tomorrow. We seek to appeal to the discerning traveler, with a taste for unique experiences and a touch of refined luxury. Our goal is to provide you with the highest levels of personal assistance and knowledgeable advice to make sure the time you spend with us in the Cook Islands is a treasured experience. The Cook Islands offer a range of accommodations suitable for every taste. We provide the most comprehensive luxury property listing to meet every need. Rarotonga will be your exclusive private island resort! Our options also include the island of Aitutaki!